We already have Safe Boda, Uber and Taxify as well as the ordinary boda bodas offering transport services to Uganda but yesterday, another company, Dial Jack has entered the market. During the launch of Dial Jack, it was announced that there will be a 50 percent discount for all rides to anyone for the next month. To get this offer, however, one needs to download the Dial jack app on their phones. The new Boda boda service also offers initiatives to both the customer and the ride than its competitors and among those services include first aid which all their drivers have experience in incase of injuries. 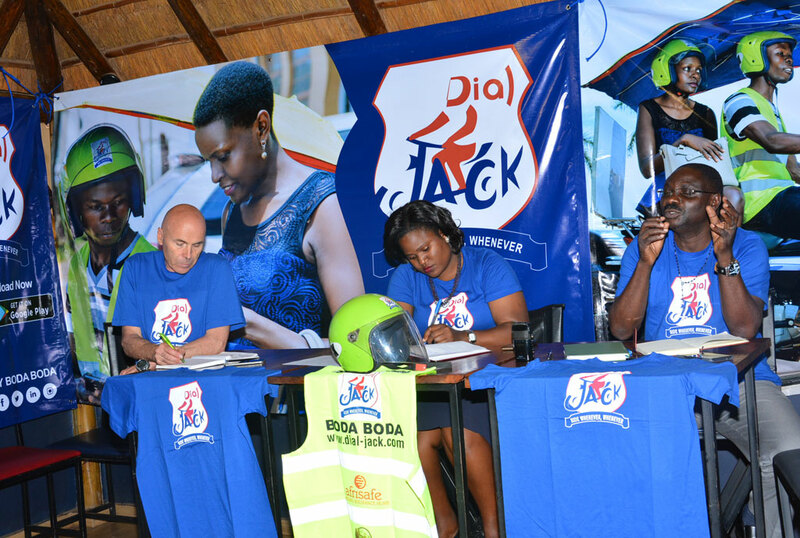 “All our drivers have some first aid experience so in case of any accident, they can easily offer it to anyone,” said Mr Tex Wright, the Director of Dial Jack during a press conference. He also said that in case of any emergency, the rider or customer can send an SOS for immediate help. Adding to that, Mr Kalunda Alfred, the operations manager said their team have a strong affinity for the country and its culture and opted to introduce a better, safer and more efficient transport service to the general public that what is currently on offer.